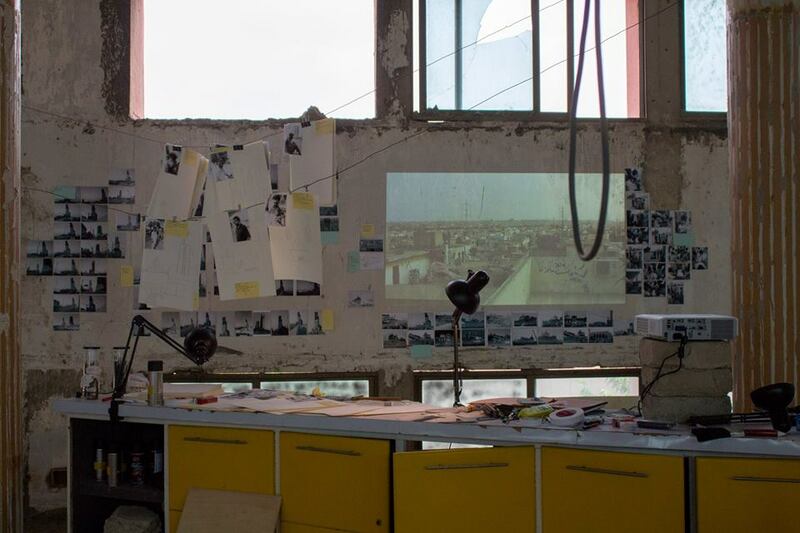 The city remains a subject of constant intrigue among local artists, and Karachi as the subject in particular. Being one of the largest cities in the world, the metropolis undoubtedly provides an abundance of avenues for artistic exploration. 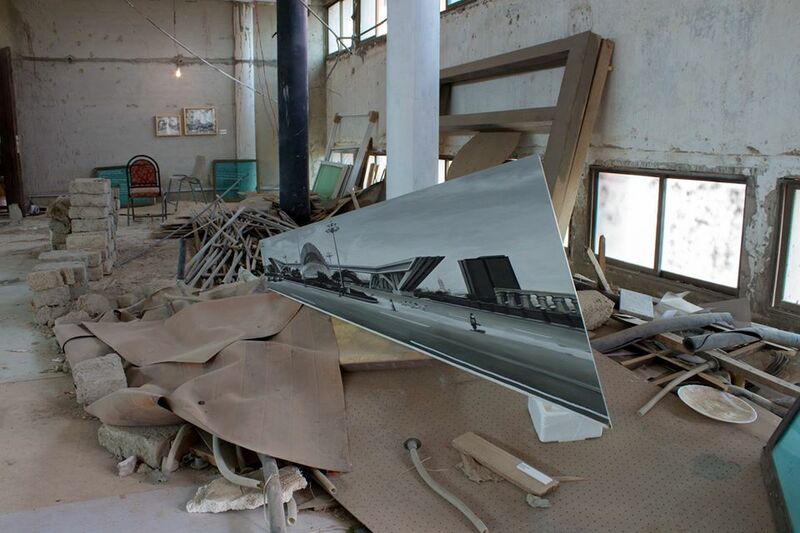 Graduating with a BFA from Lahore, artist Haider Ali looks at Karachi specifically through the lens of ‘transformation’ in the form of structural ‘construction and destruction’. His solo show ‘Conurbations’ (or Muzafat) opened on August 27, 2018 at Arts Council, Karachi after a three-month residency with Vasl Artists’ Association. With a city larger than most countries, residents have learned to live with the constant wear and tear of the city, accepting blocked roads, frequent construction work and incessant erection of new buildings as part of their day-to-day lives to the point of mundaneness. One of the reasons that Karachi still holds such fascination amongst people is because of its façade of order within almost complete chaos. Where there are sparkling new glass buildings towering above everything, there are also centuries-old structures teetering on the brink of collapse. Ali looks at this same contrast, creating a body of work not just about the visuals of the city but also the disruption within its landscape. 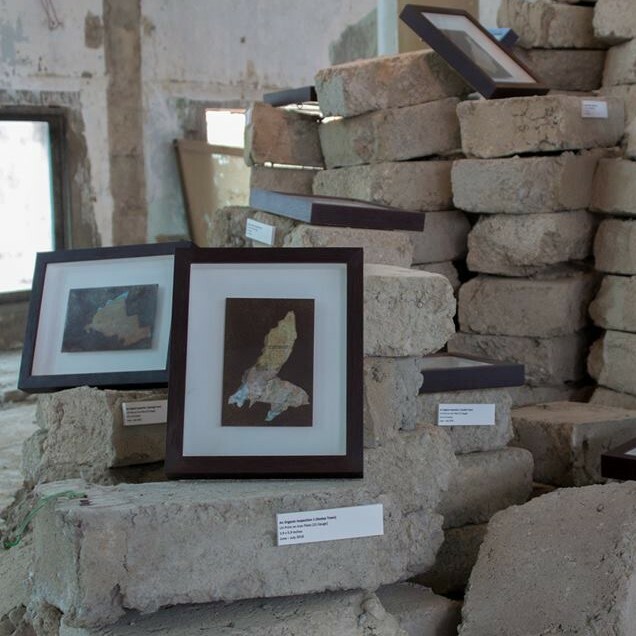 Abandoning the traditional White Cube form of exhibition, the work is instead displayed on the third floor in one of Karachi Arts Council’s buildings. 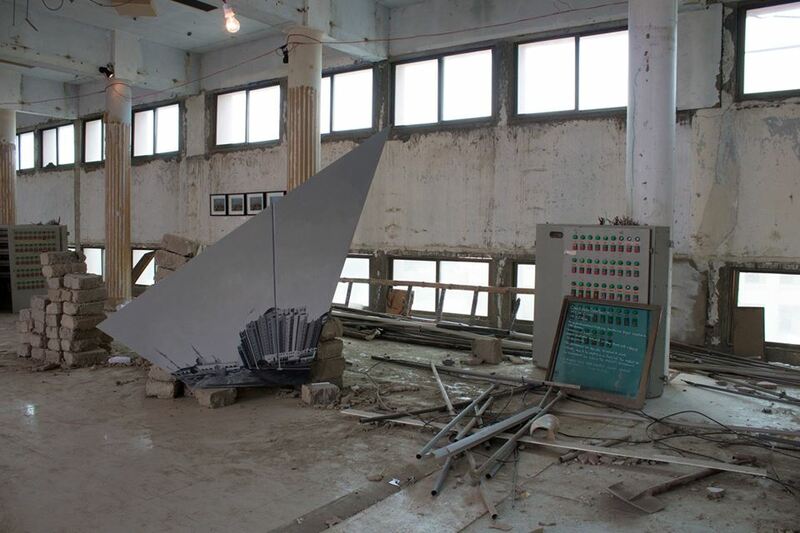 Previously used as a HumTv studio, the space now inhabits walls covered in chipped paint and cement stains as well being broken in some places, creating a sense of rawness and neglect. The fragmentary ambience of the space becomes a fitting setup for Ali’s body of work. 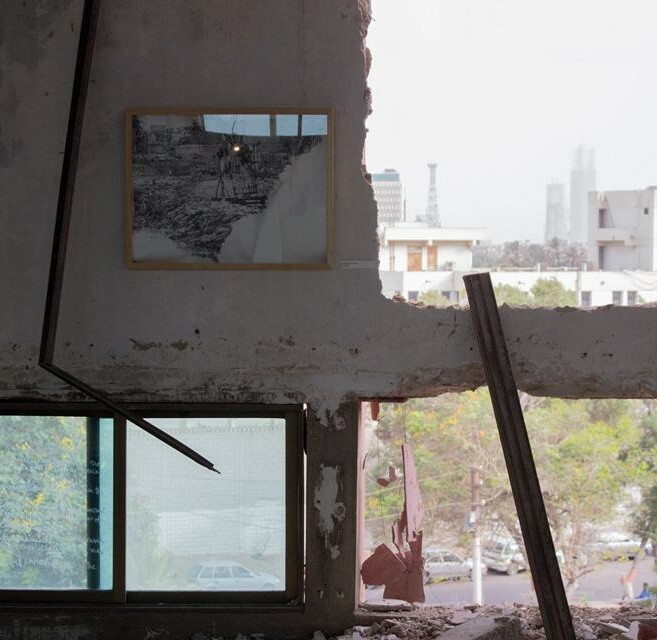 Situated in one of Karachi’s most crowded regions, the broken walls of the building fail to filter out the surrounding sounds of Saddar, adding the background noise of ongoing traffic and sirens as equally part of the work. He uses almost monochromatic visuals from the urban landscape, resonating with the dull, decaying white and brown colour scheme belonging to the congested city. 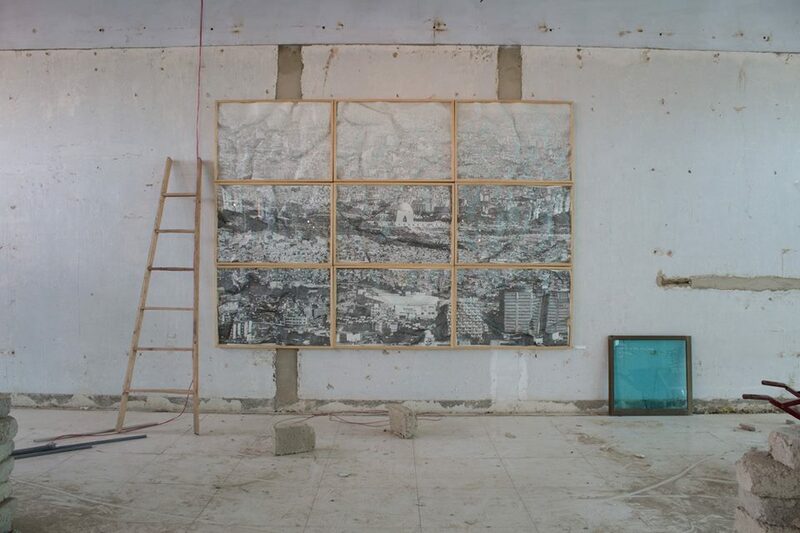 A monochromatic polyptych drawing based on the area surrounding Quaid’s Mazar with crumpled texture is also framed and displayed on the wall, as well as other drawing pieces. 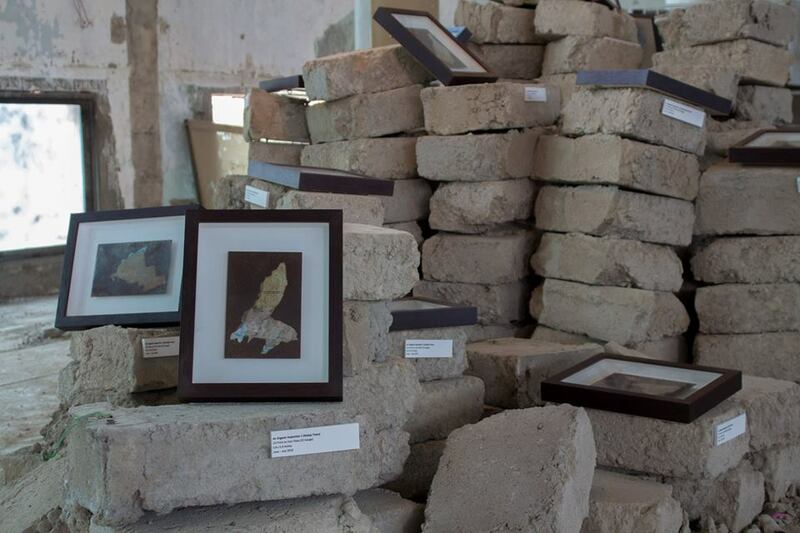 We also see cement bricks piled together, with framed prints of different mapped areas throughout the city placed in disarray atop and in between the bricks instead of hanging on the walls. Most of the images are printed on metal plates. The medium of metal is perhaps also to further enhance the aesthetic of construction, as is with the inclusion of the cement bricks. 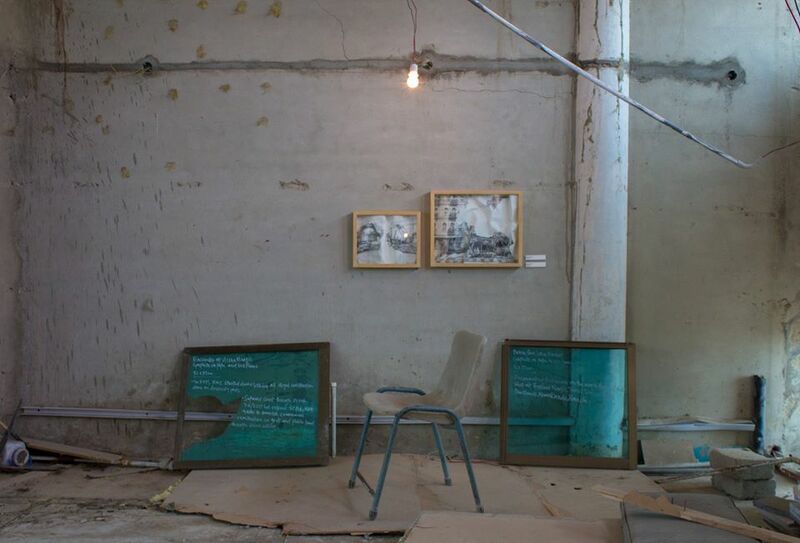 Metal rods, framed glass, loose wires, stools and ladders are also left scattered across the floor, resembling the aftermath of a construction site. ‘Brainstorming’ work is also used in the form of discarded prints and drawings amongst loose papers, tape and other drawing material, while also using discarded window glass as a writing board for notes. Another prominent visual used as geometric cutouts is of the massive gate at Bahria Town on the super highway. Here, we see the connection of the word ‘conurbations’ in literal form, the gate being symbolic of Bahria town acting as an extension of the already vast urban landscape, connecting cities with other cities, while also highlighting the contrast between the new and old, or as the artist put it ‘between compression and expansion’. 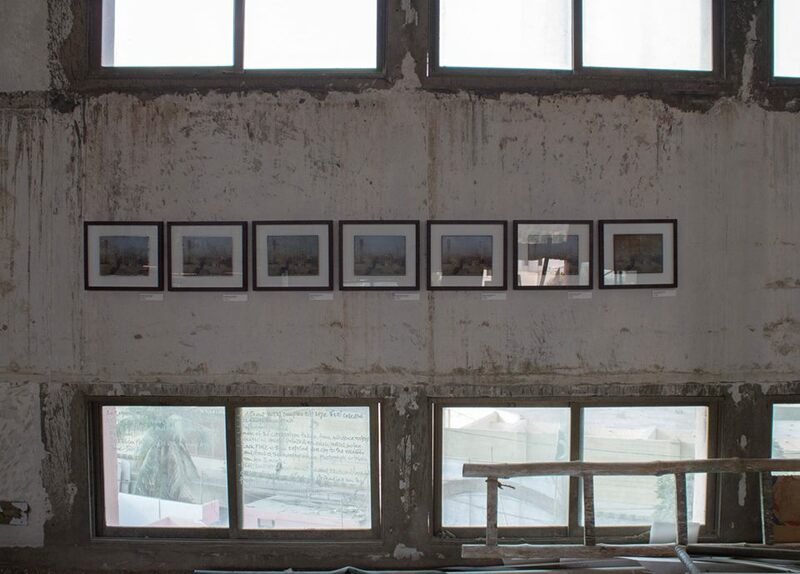 This body of work relies not on the visuals of the city but on the overall utilization of the space. In its brokenness and unfinished quality, the work heightens its purpose through the use of its discarded material, i.e. wreckage and debris used as not only a platform but also as part of the work. Residents of Karachi, or anyone who has ever visited, will instantly get a sense of visual familiarity, recognizing the mundaneness of their city and recognizing its distinctiveness within urban disarray.